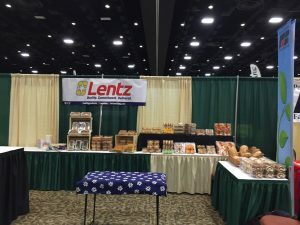 The Lentz Retail Business Development team will be at the upcoming Mid-Atlantic Fruit & Vegetable Convention held in Hershey, PA at the Hershey Lodge and Convention Center from January 29th – 31st. We invite you to attend and visit our booth so we can discuss your bakery products and needs. Contact Us to learn more or set-up a time to meet at the convention. As one of the premier fruit and vegetable conferences in the Northeast, the Mid-Atlantic Fruit & Vegetable Convention provides an opportunity for growers to attend more than 18 educational sessions and an industry trade show with more than 150 vendors.